Jordan Brand went with designer D’Wayne Edwards for the Air Jordan 21. The design of the Air Jordan XXI is very simple compared to the other Air Jordan models. 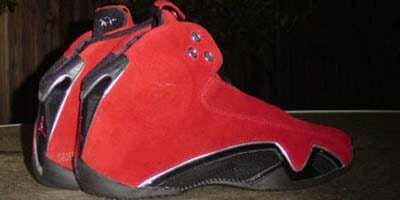 But like always, the Air Jordan XXI was full of high tech materials. With each year gone by, it is less likely that we will see Michael Jordan back in the NBA (sorry, I hate to break the news). Knowing this, the Air Jordan XXI was best described as being the DNA of a champion. Nothing new as far as inspirations go on the Air Jordan 21, which came from a Bentley Continental GT coupe (another car). The front of the Air Jordan XXI is said to look like the grill on the Bentley. there are two separate compartments for each shoe. Also, the shoes came with a bag that can hold your air Pods. Upper: Combination of luxurious Italian suedes with rich full-grain leathers. Forefoot breathability features are combined with a newly engineered durable textile for support and durability in key performance areas. Extended heel counter construction provides extended ankle support. Newly foam-backed quilted collar complements the seamless booty construction to provide maximum comfort. Breathable mesh is brought to the tongue to dissipate heat, while the adjustable tongue cover flips up to expose the breathable technology, or flips down for a more sophisticated look. 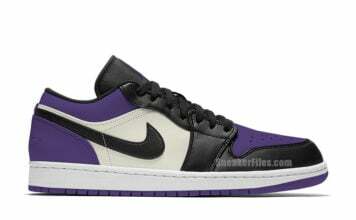 Mid sole: Fully-double lasted phylon mid sole provide a low-profile stance. Evolution of the I.P.S (Independent Podular Suspension) now includes interchangeable cushioning technology with a customizable heel zoom pillar or heel encapsulated pillar. Carbon fiber shank plate offers mid foot and arch support. Out Sole: New I.P.S. technology is integrated with the out sole through raised herringbone pods for traction in strategic performance areas. New innovative out sole pattern offers multi directional traction. Profile: The future is now. The next generation of the greatest performance basketball shoe designed for the greatest player to ever play the game. The Air Jordan 21 shoe embodies all the elements: The man, the style, the legend… Michael Jordan. The Air Jordan XXI released in four different colorways ($175.00), and two Lows.